Why Is Canada Goose So Expensive? Are Their Jackets Worth The Price? With summer quickly approaching as we leave the month of April behind, winter jackets, especially down ones, is the farthest thing from our minds. And we completely understand, but being well-prepared is something we deem to be the most important aspect of life. Summer is quite short, however and autumn usually hits hard and quick, with winter following right behind. 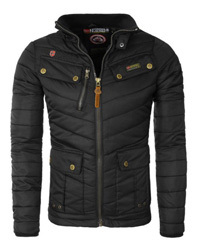 So, planning on buying a winter jacket is never a bad thing, nor is it a waste of time. Especially the kind of jackets we will be discussing today. 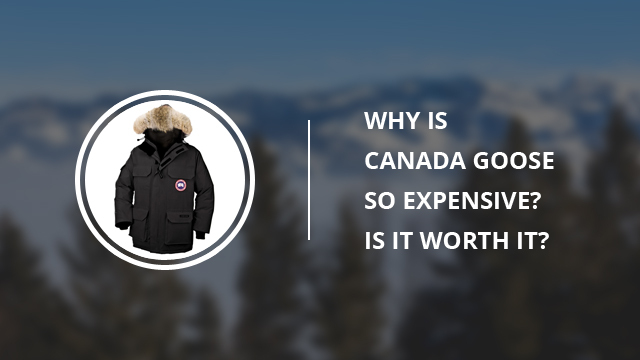 As you have seen from the title, we will be looking at why Canada Goose is such an expensive brand and ultimately settle the matter of whether their jackets are worth the price. Not everyone can shell out at least $500 to buy anything, let alone a winter jacket. But is this such a crazy thing to do when you really think about? Yes, there are more affordable options in the market, both locally and online, and yes, you can get quality for a reasonable price, but few of those jackets will really cut it, especially if you go through harsh winters, such as in Canada, for example. So let’s get down to it then and go through not only bloggers’ experience with Canada Goose jackets, but also people like you, who have shared their opinions on this brand. Why Are Their Jackets And The Brand So Popular? What Makes These Jackets High Quality? 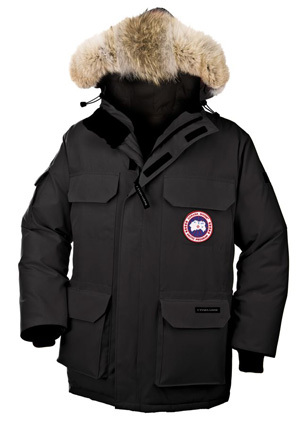 Canada Goose is a Canadian brand, which, as you most probably know by now, specializes in outdoor clothing. They are most famous for their winter jackets, especially the ones with down insulation. As a brand, it was established in 1957 by Sam Tick, a Polish immigrant. 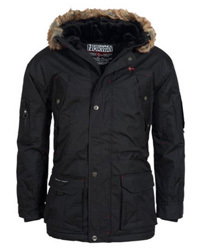 It was firstly called Metro Sportswear Ltd., then as they branched in Europe, Canada Goose was finally established. Some of the first products were woolen vests, raincoats and other outdoor functional outerwear. Their first down jackets were created in the early ’70s. As they continued to expand their range of designs and apparel, so did their popularity and it wasn’t long before they started opening stores and showrooms in different countries from all over the world. Their jackets, especially, are worldwide famous and even purchased in warm-weather countries such as those in the Middle East and India. Surely, there must be something about their jackets that they’ve become so popular. Let’s take a further look at their jackets. Canada Goose, as many other high-end brands, has invested a fair amount of time and resources to create and maintain a good public image. Their jackets have made it into the Bond movies and were also the pick of other famous series and movies, such as “Game of Thrones” and “The day after tomorrow”, to name a few. In the case of “Game of Thrones”, for example, they were used to keep the crew warm off-set when filming in freezing temperatures. The company also sponsors different festivals, such as the Toronto International Film Festival. Celebrities have also played a very big part in the brand’s endorsement, by wearing their jackets on their day to day lives, such as David Beckham, or for photo shoots. The latter is one of the most popular covers of Sports Illustrated, their Swimsuit 2013 edition, where the gorgeous Kate Upton is wearing a white Canada Goose jacket. All of this has created a brand image that people correlate with quality and most importantly being fashionable. What a celebrity wears is bound to become trend, so it’s safe to say that some people have certainly gone for these jackets solely because of their fame. It’s a status symbol thing, you see! Although we can all agree that celebrity endorsement and product placement is surely one of the best, if not the best, ways to get the public’s attention, they aren’t the sole reason for Canada Goose‘s image. Since we live in the Internet era, where you can practically find everything about any product online, reviews and sports bloggers have also played a considerable role in how people view Canada Goose. Especially when we consider that a majority of clothes are purchased online, with Amazon being one of the leaders of e-Commerce. A simple Google search will give you hundreds upon hundreds of links and articles on Canada Goose jackets, and if there is one thing they all have agreed on, is that this brand does not play around when it comes to the product quality. While some are skeptical due to the high price and would rather look for more affordable options, those that have tried a Canada Goose jacket for themselves have only good things to say about them. Starting from how warm these jackets are, to their longevity, it’s hard to find jackets that compare to them. Other brands do make fantastic jackets, as you may have seen in our selections and reviews, but rarely will any of those last as long as a Canada Goose jacket. Let’s start with the attention to detail and the craftsmanship. Each of their jackets goes through a 13-step process, which ensures that every single part of the jacket is functional and well-made. This is one of the few brands that would rather discard a product that doesn’t meet the standard, than compromise. Secondly, it’s the fabrics used when making the shell and lining. 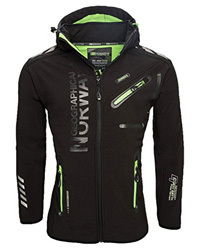 Their jackets are made of the highest quality Nylon and Polyester, usually using special fabric technologies such as Feather-Light US or Dura-Force. They are stitched to perfection, in order to make sure that nothing will come undone or that the jacket will shed. As we mentioned previously, their jackets will last for decades and still be in great shape, a quality that is extremely rare in any type of clothing, let alone winter jackets that have to endure challenging conditions. Thirdly, when looking at down jackets specifically, they use goose down that is fully traceable and responsibly obtained as a by-product of the poultry industry. They ensure that the down they use comes from humanely-treated birds, which were not force-fed or live-plucked. When it comes to fur trim, this is an arguable point as there are other synthetic furs that imitate the real ones so well, you wouldn’t be able to tell the difference. But at the end of day, nothing beats real fur’s ability to protect the face against frostbite and cold winds. Canada Goose uses Coyote fur, which is also ethically sourced and only from regions where coyote populations are abundant, such as the Northwest of Canada and the US. Another important factor is that all of their products are manufactured in Canada, where each of them meet a certain standard. This is also the reason why they produce a limited amount of products, since each takes such a long time to make and has to go through a rigorous manufacturing and testing process. Lastly, their designs are very fashionable. Not to say that this necessarily adds to the price, but it does take time, effort and resources to create a jacket that not only performs beautifully but it also looks stylish. This is probably the part that most of you will jump right into upon clicking on this article and we understand. When you judge the value of a jacket, there are many factors that come into play. Is it reasonable to pay more than $500 for a jacket? The immediate response might be “No”, but we will go with “It depends”. And indeed it depends. You should take into consideration the manufacturing process, the testing, the quality of fabrics used, the insulation, fur, design, durability, jacket performance, comfort, coziness, warmth and weather-resistance. Canada Goose jackets might not be for everyone for two reasons: firstly, you do not live in an area that requires the incredible insulation and warmth of down and secondly, for ethical reasons on using animal-sourced materials. Other than that, if the temperatures drop to extreme levels, as they are bound to do in Northern areas, you can rest assured that a Canada Goose jacket will keep you warm and cozy at all times. There are very few other brands that manufacture jackets which compare to these ones, and even fewer are made in their original countries and not China. So, are they worth it? 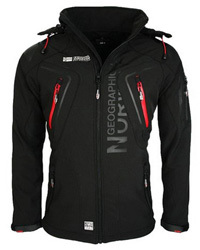 If you need a jacket that is incredibly warm, incredibly well-made and incredibly durable, then absolutely! If you take into consideration that you will have to go through several jackets in your life, in order to withstand winter’s freezing temperatures, Canada Goose’s prices seem quite reasonable seeing as their jackets are a real one-time investment. You won’t have to worry about winter anymore! That concludes this article. We hope you enjoyed it and we hope to see you in the next one! Contrary to the article, Canada Goose uses duck down. Thanks for your comment Jimothy 🙂 Yes, they’re also using duck down in some of their jackets.